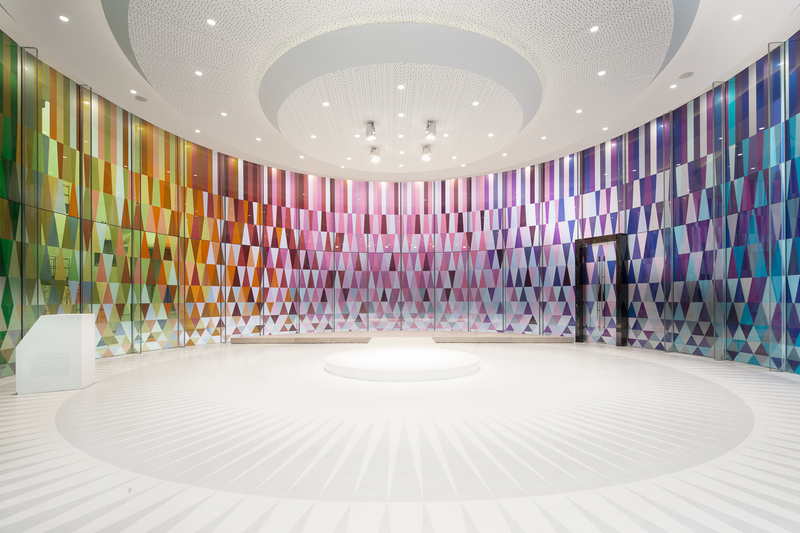 The Rainbow Chapel is multi-functional events space enclosed within a kaleidoscope of color. 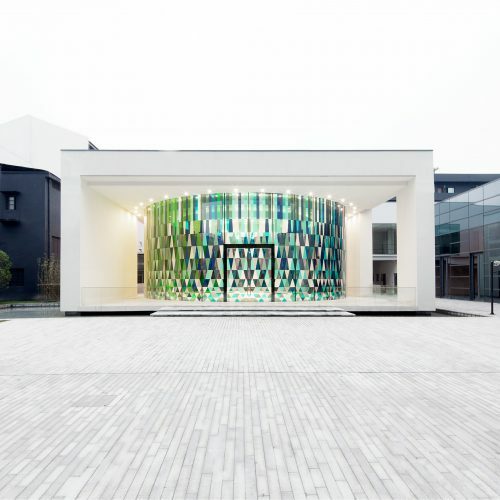 The venue is truly one of a kind, its multi-hued facade creates an all-embracing atmosphere where many different types of events can occur. 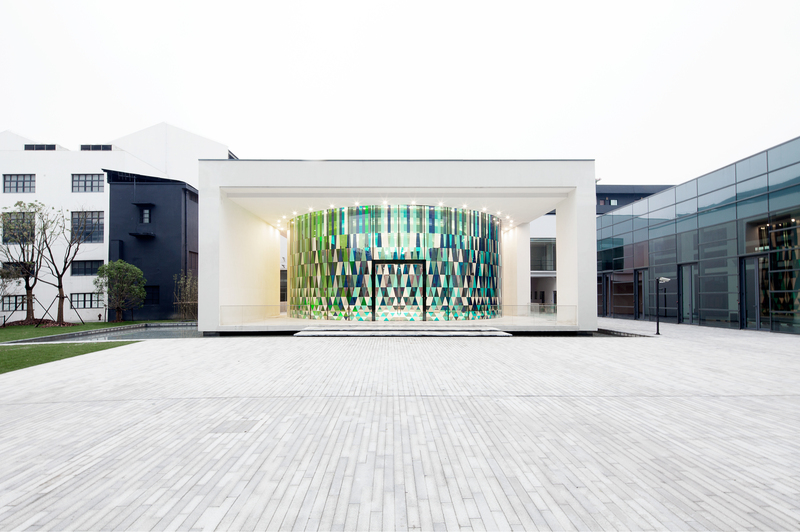 Our desire from the very beginning was to provide an intimate setting for people to come together to express feelings of joy and love – the unique circular form and magical glass reflections make it a welcoming environment that is perfect for uplifting ceremonies and congregations. 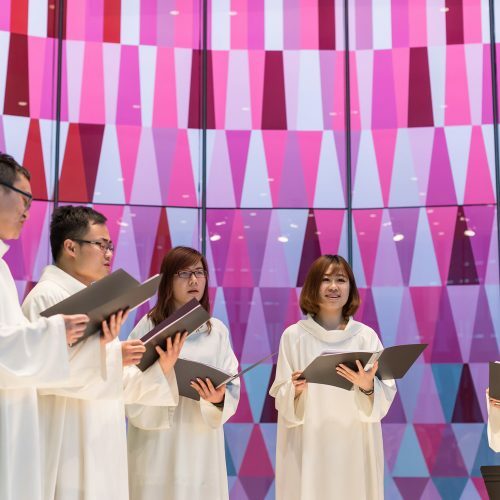 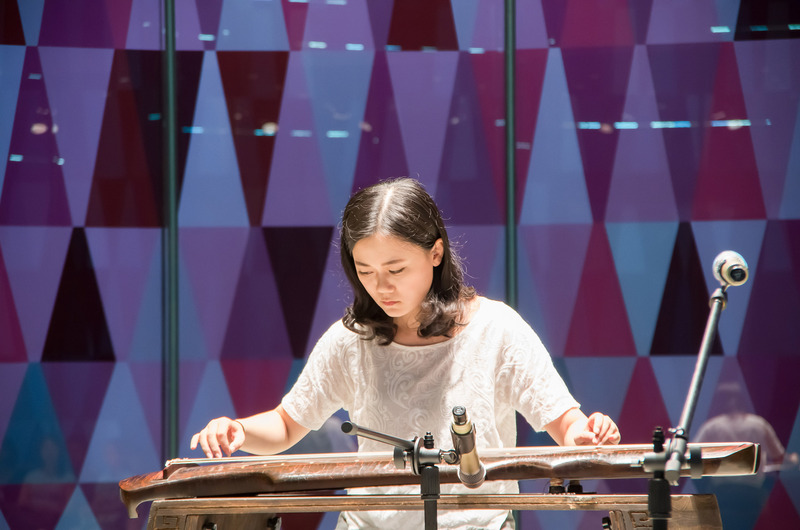 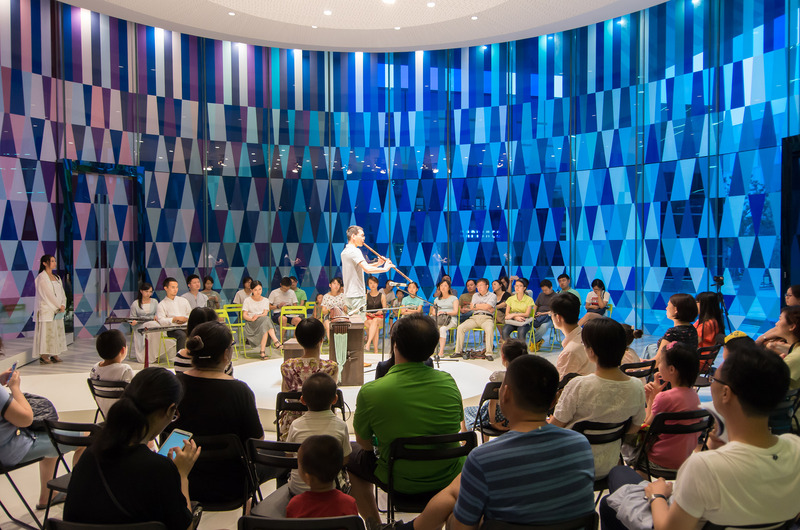 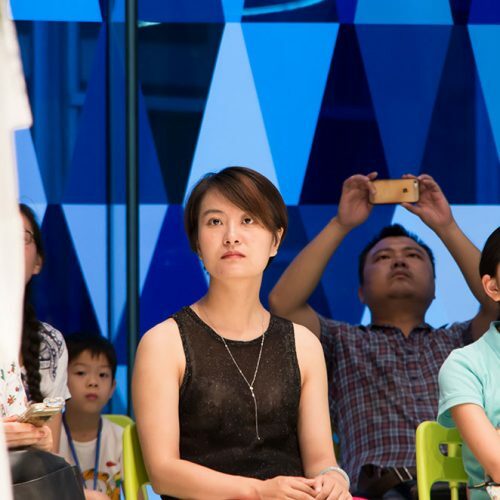 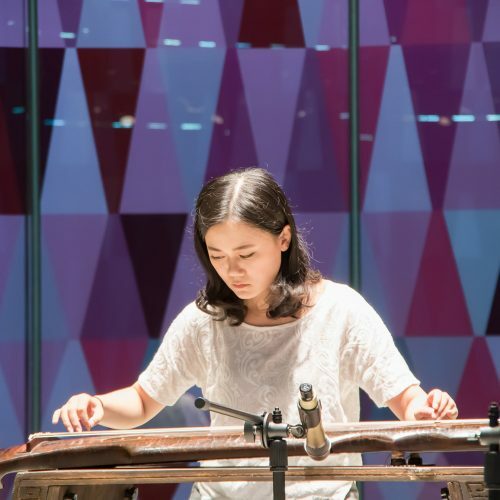 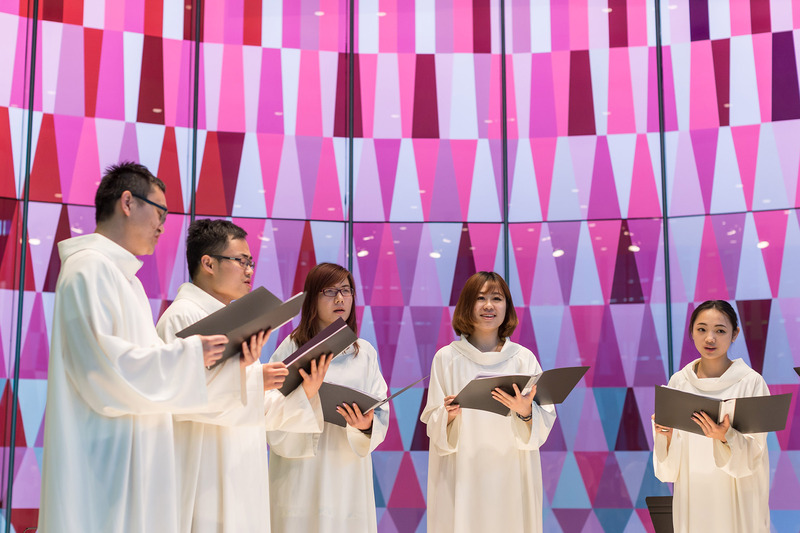 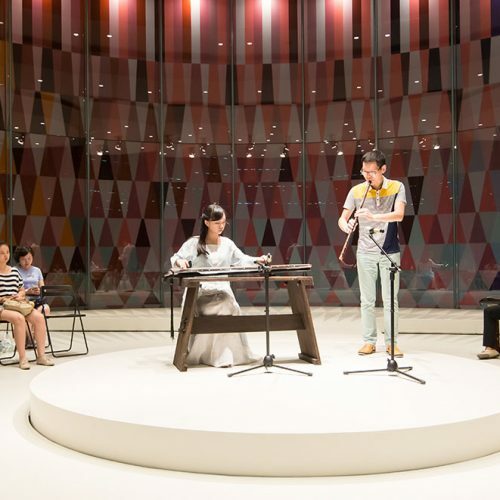 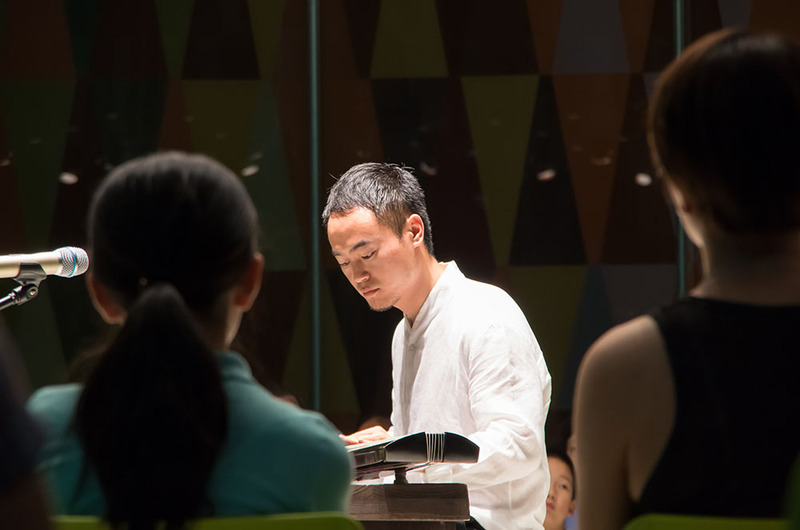 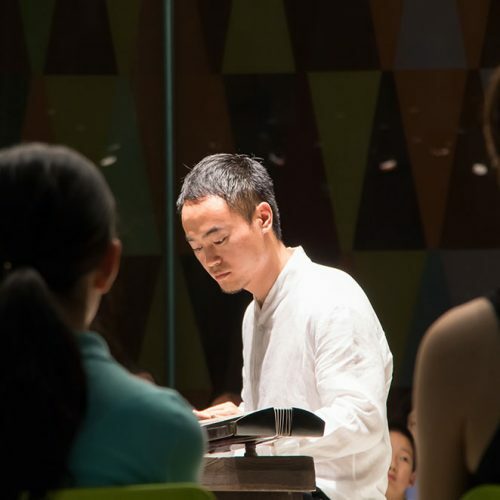 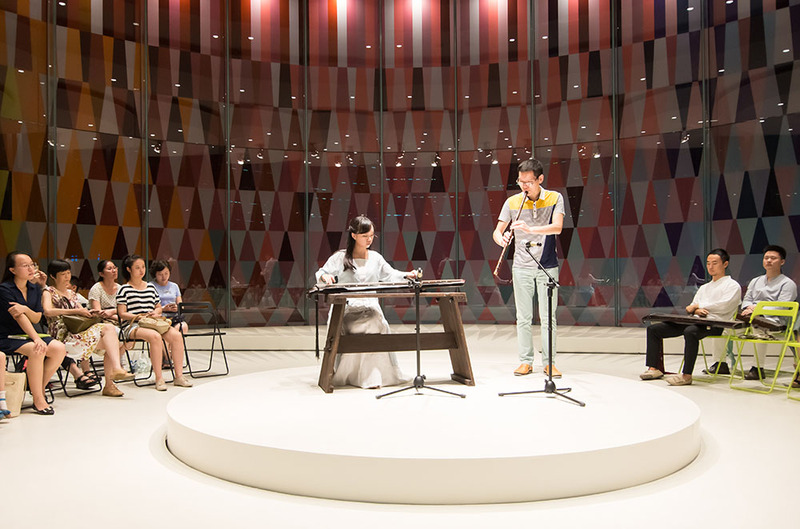 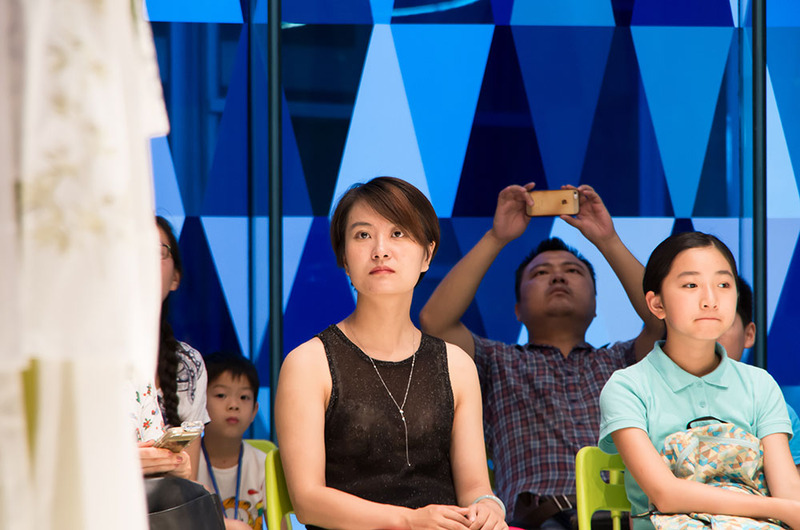 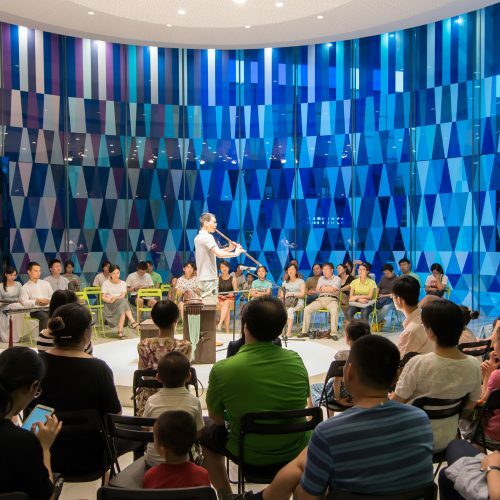 Furthermore, the Chapel is located right at the center of Shanghai Museum of Glass PARK, people can now enjoy China’s first chapel set within a museum park. 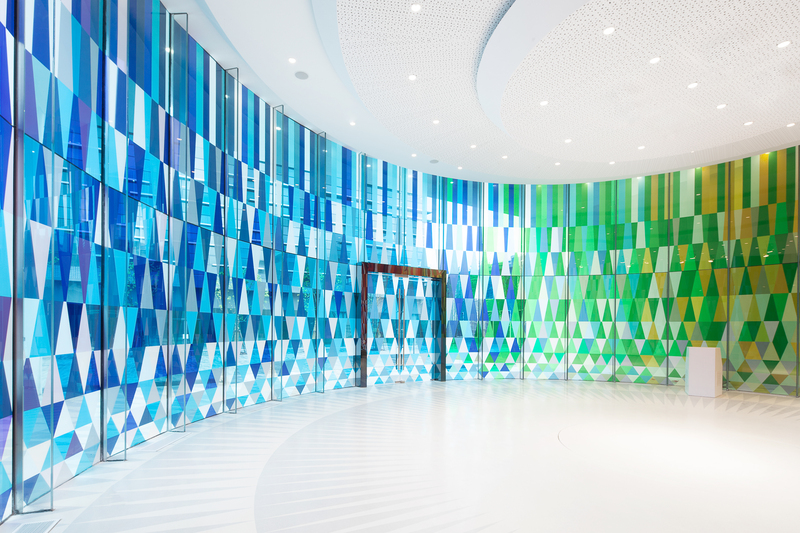 The surrounding site is dedicated entirely to glass, an incredibly romantic material with endlessly beautiful possibilities. 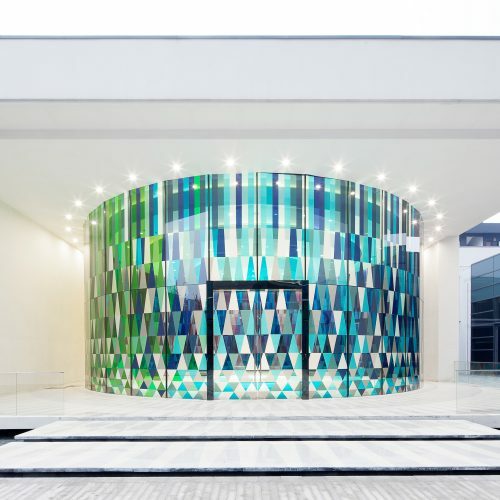 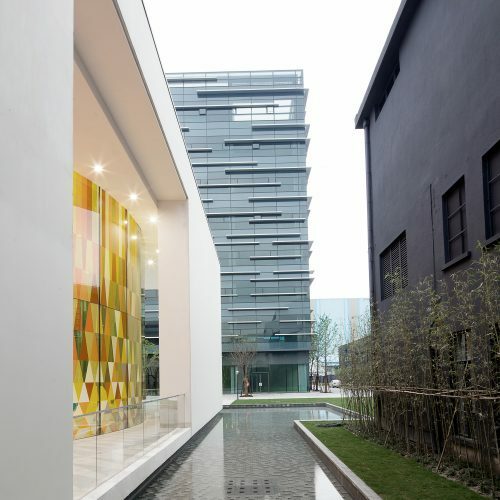 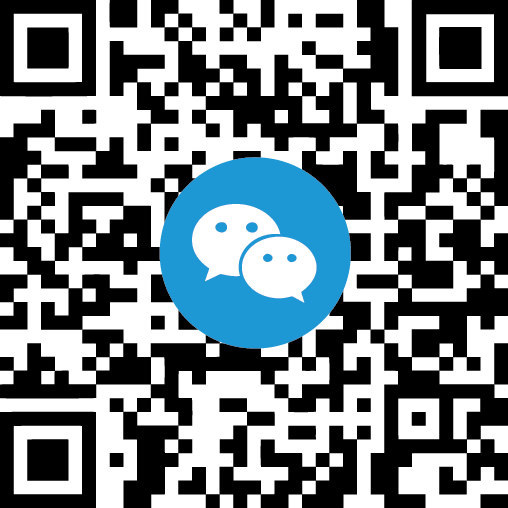 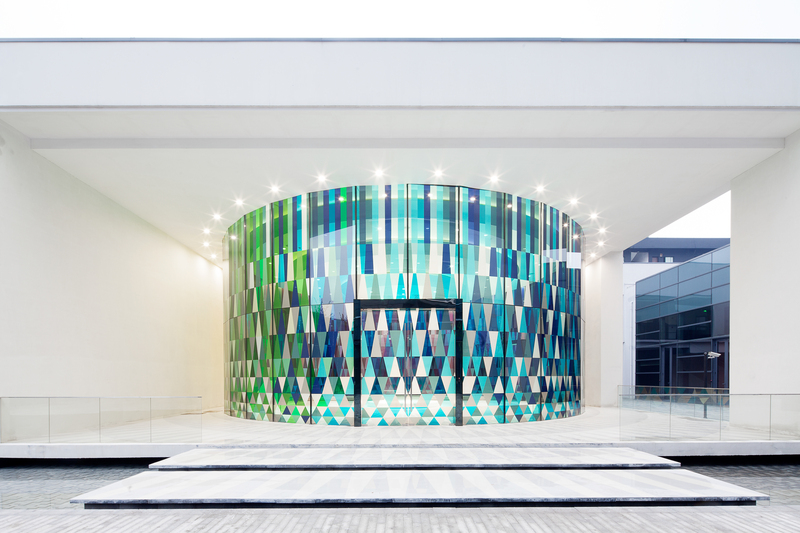 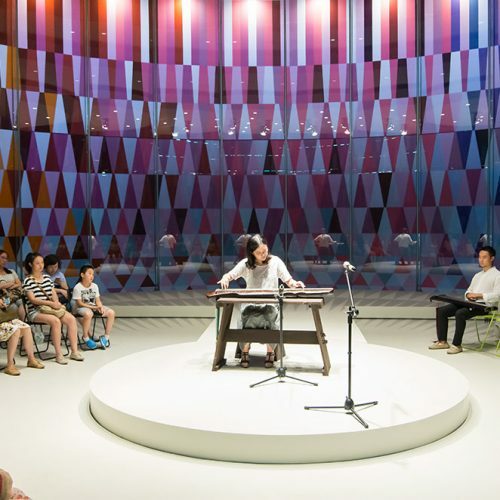 The ‘Rainbow Chapel’ is a heartfelt addition to the city of Shanghai, it is both sleek and highly artistic, while still serving as a sacred space for people celebrate momentous occasions. 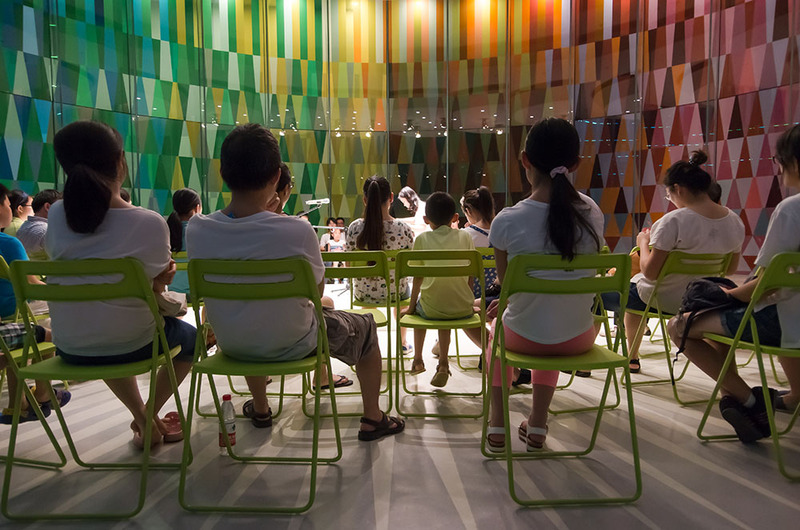 The ‘Rainbow Chapel’ is a flexible venue that can be used for more than just weddings; concerts and private events can also be organized. 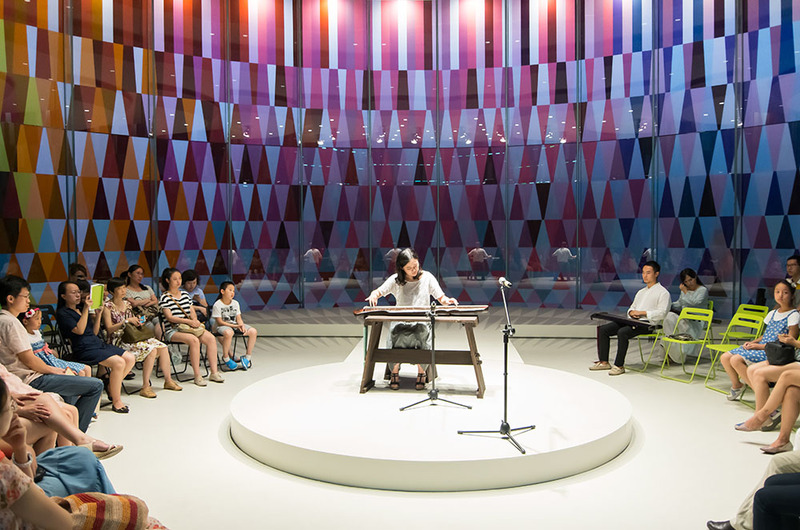 The round, internal space enables a variety of different settings, from a solo pianist performance, to an intimate choir show. 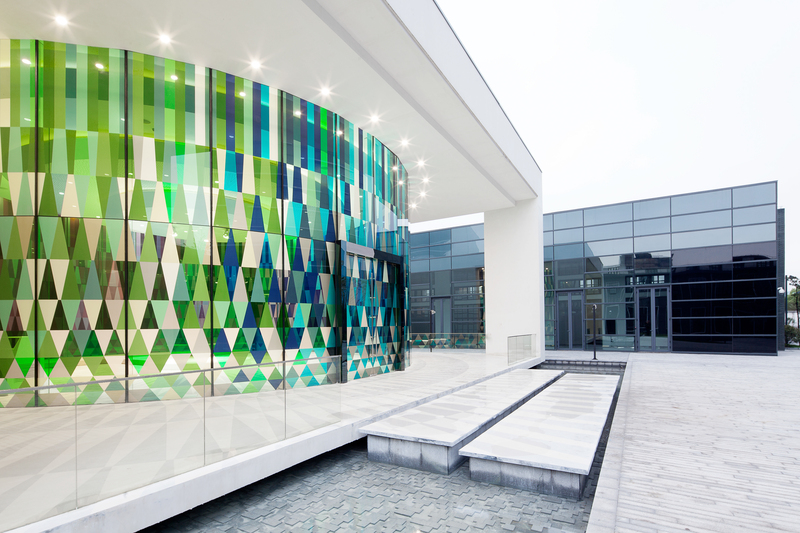 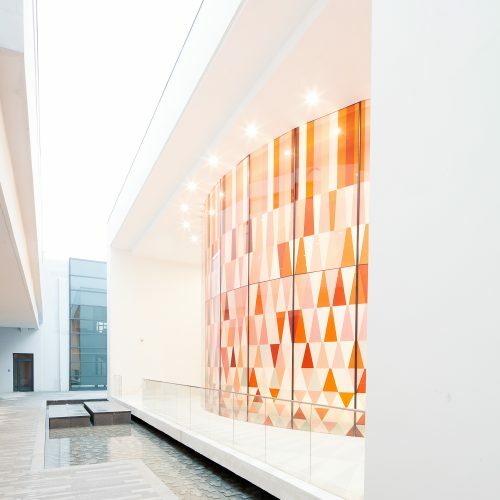 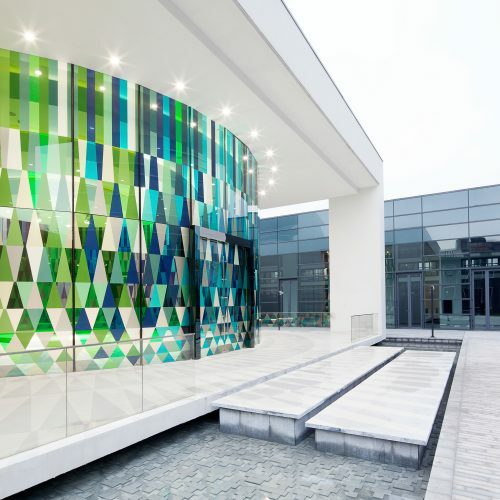 The building also references traditional church structures with its stained glass windows – the high cylinder transitions like a rainbow from warm tones of red, orange and yellow, down to shades of green, blue, purple and pink. 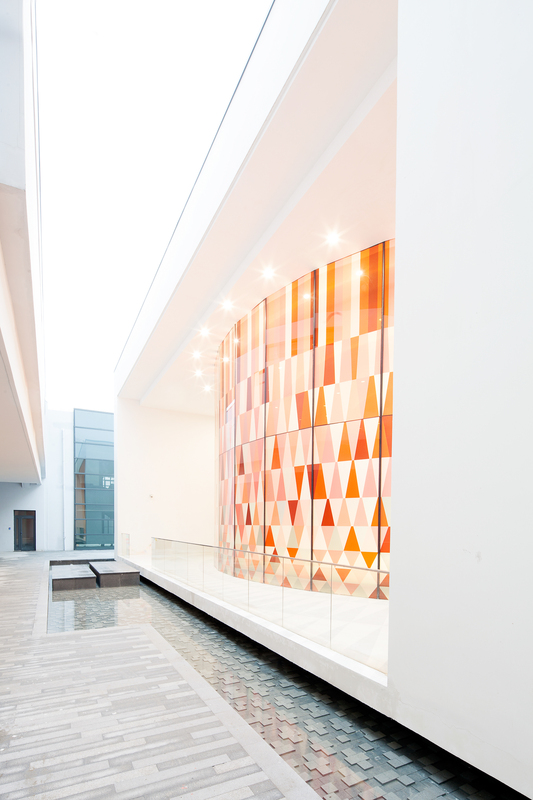 As the sun moves around the facade, reflections bring the whole chapel to life, making it an incredibly dynamic venue for such performances and events. 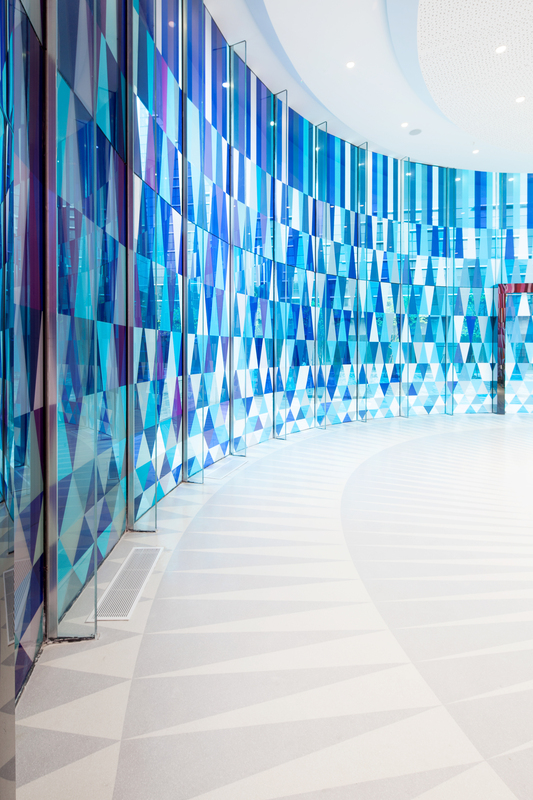 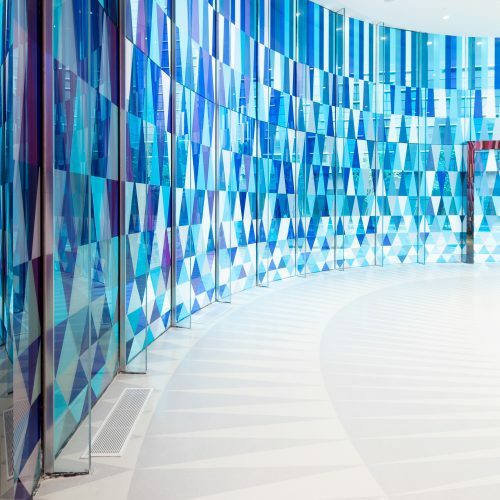 The ‘Rainbow Chapel’ is part of a large, busting site dedicated to the creative possibilities of glass. 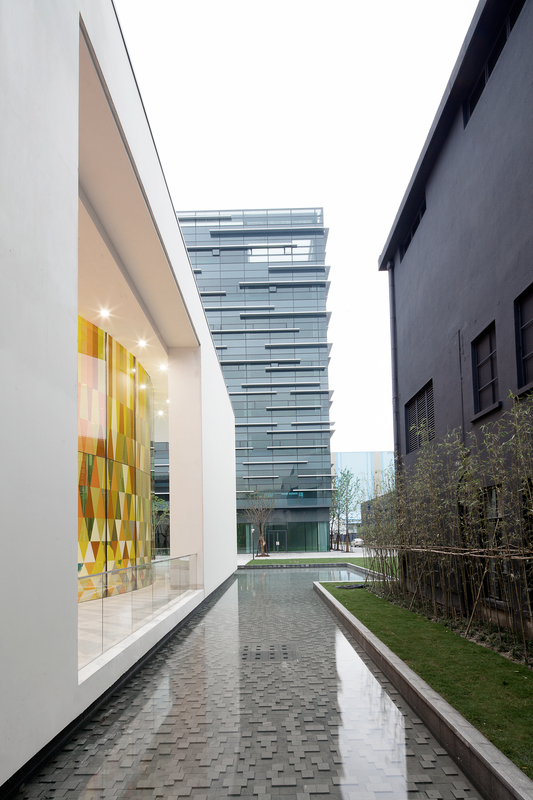 The building stands out in its location, and seeks to fulfil a gap in the market for young people who want a creative, alternative lifestyle. 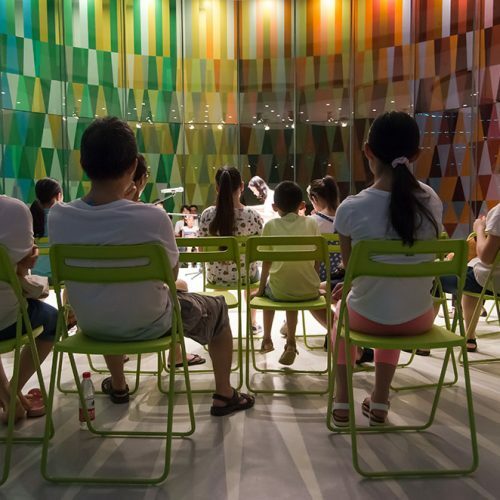 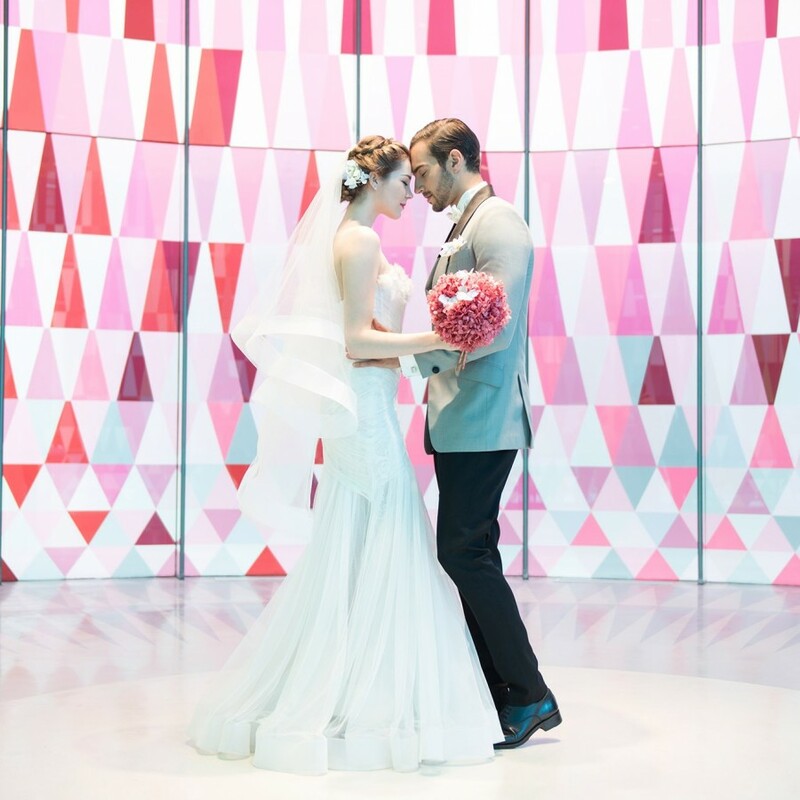 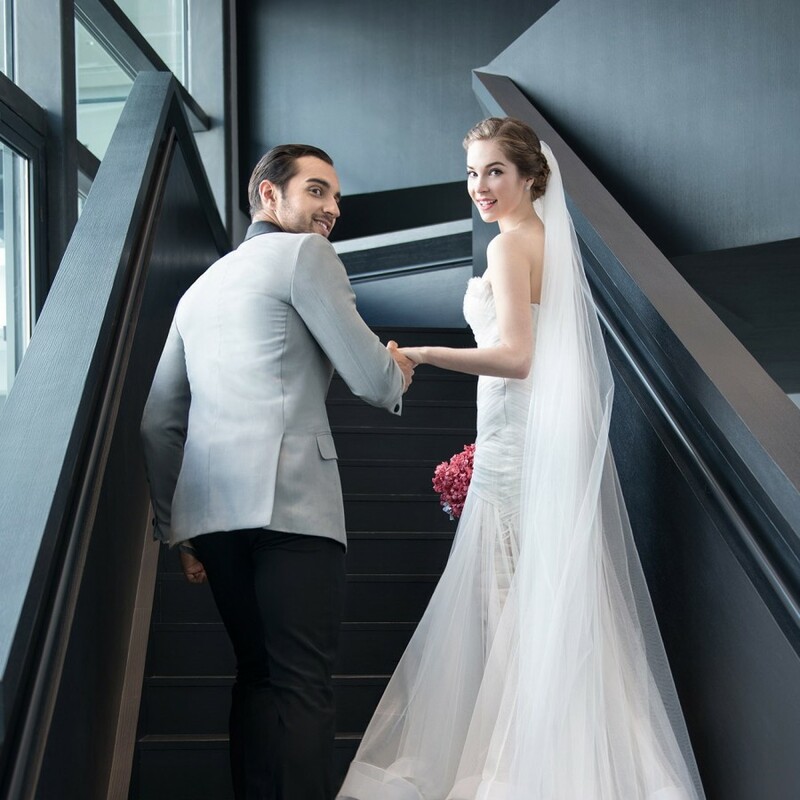 Contemporary wedding and events venues have become increasingly popular in Asia in recent years, and the ‘Rainbow Chapel’ is based on the idea that an art space should help nourish a community. 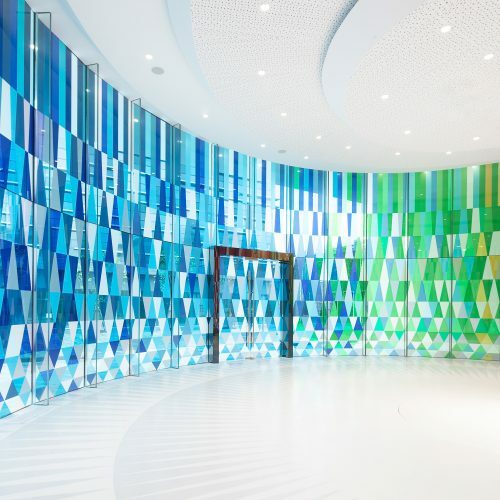 It is a lively place for those wanting something a bit different, not to mention all the beautiful photo possibilities with that colourful backdrop! 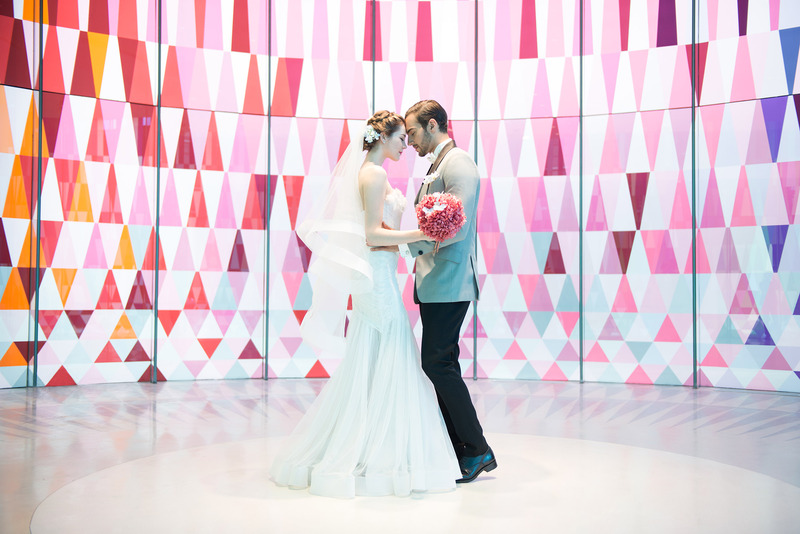 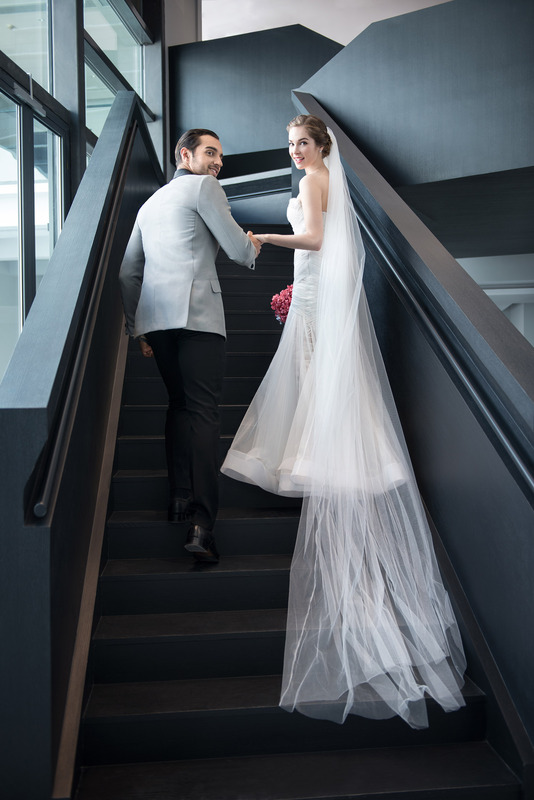 Conveniently located right next to the Chapel is a 1200 square meter Crystal Hall that can be used for large events. 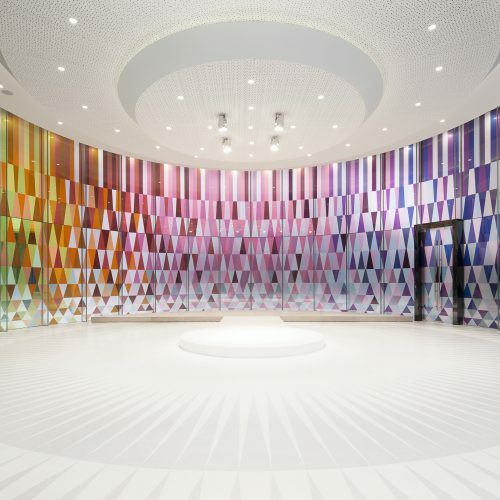 The building was transformed from a former industrial glass workshop, and is now an elegant space, which serves to compliment the Rainbow Chapel. 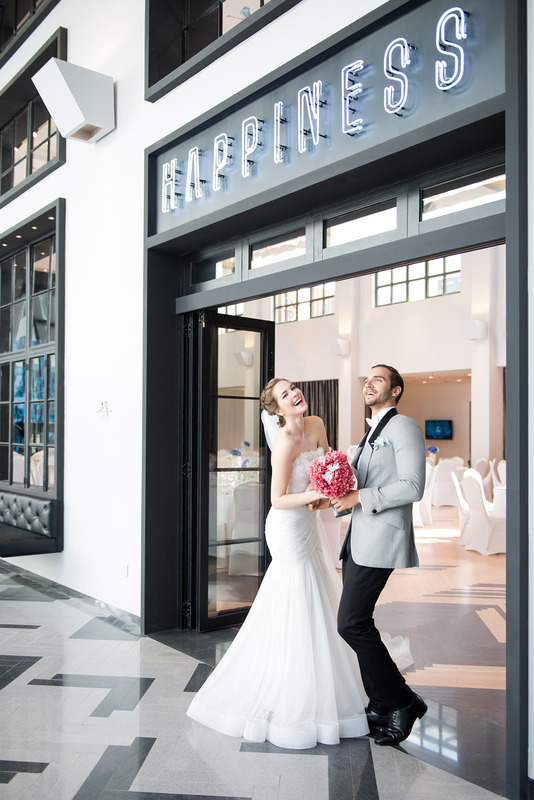 The interior is uplifting and also highly versatile, facilitating the wide range of events on offer from weddings and anniversary celebrations to concerts.